Based loosely on the director's life, CALLOUSED HANDS tells the story of 12-year-old Josh, a mixed-race boy growing up in Miami, and a promising baseball player. He is abused by his mother's boyfriend Byrd, and neglected by his mother Debbie. He manages to forge his own path in life when his estranged grandfather Solomon insists he study for his Bar Mitzvah. 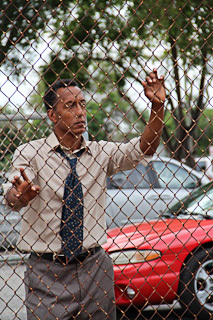 Starring Andre Royo (HBO's THE WIRE), Daisy Haggard (SHOWTIME's EPISODES), and Hans Howes (P.T. Anderson's THERE WILL BE BLOOD), CALLOUSED HANDS premiered at the Miami International Film Festival and has gone on to charm audiences world wide. Jesse Quinones is a director from Miami, Florida. Since 2000, he has called London home, and is drawn to telling stories on either side of the Atlantic. 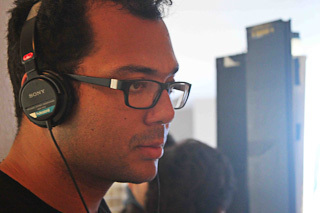 Jesse received a 2011 All Roads Seeds Grant from National Geographic for his documentary SHOESHINE GIRLS OF BOLIVIA, which was selected for the Berlinale Talent Campus. CALLOUSED HANDS is his feature debut. He is set to direct THE NANNY, by Oscar-nominated screenwriter Braulio Montovani.